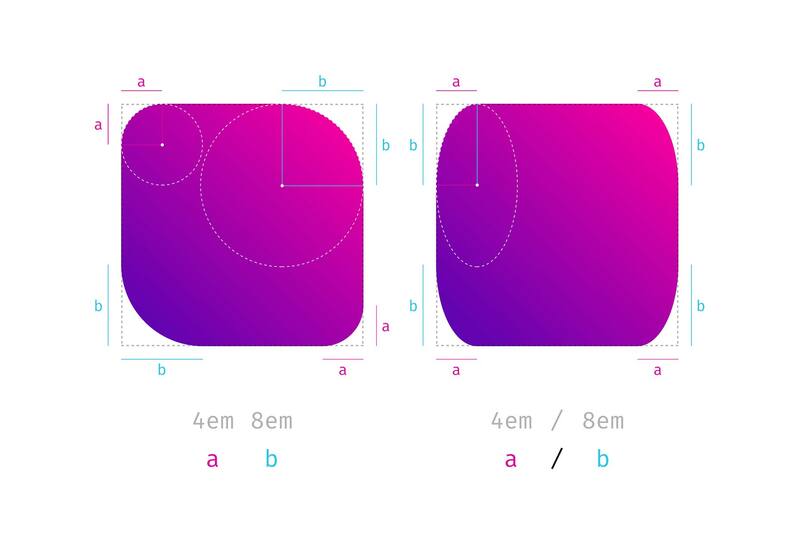 TL/DR: When you use eight values specifying border-radius in CSS, you can create organic looking shapes. The Image is set round just by using the well-supported border-radius. Don’t forget that old CSS still exists and is useful. You don’t need to use something fancy for every effect. Shortly after I heard this talk, I thought that you certainly could create more than just circles and started to dig deeper into what can be done using border-radius. Let’s start with the basics. Hopefully this will not bore you. You are probably familiar with CSS, and you also know border-radius. 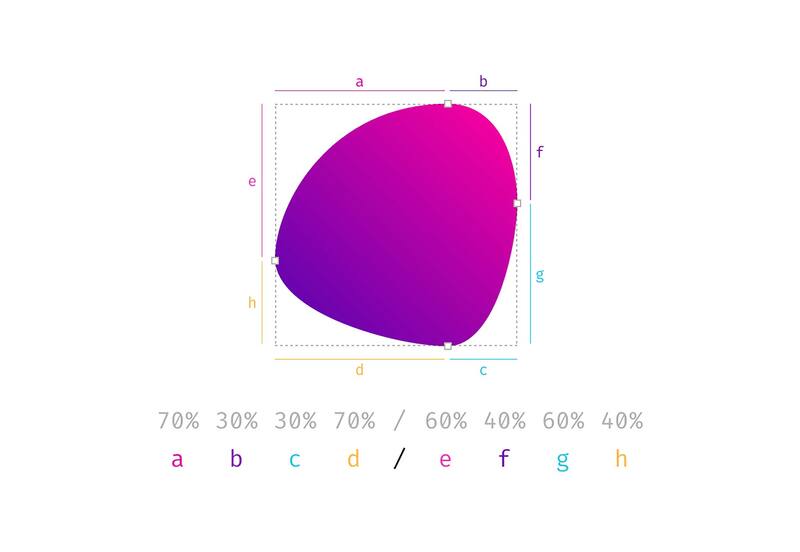 It has been around for some years now, mostly used with a single value like this: border-radius: 1em and was maybe one of the most discussed/loved CSS3 features back in 2010 when css3please.com was your best friend. As you can see in the example above, next to fixed length values like px, rem or em you can also use percentages. 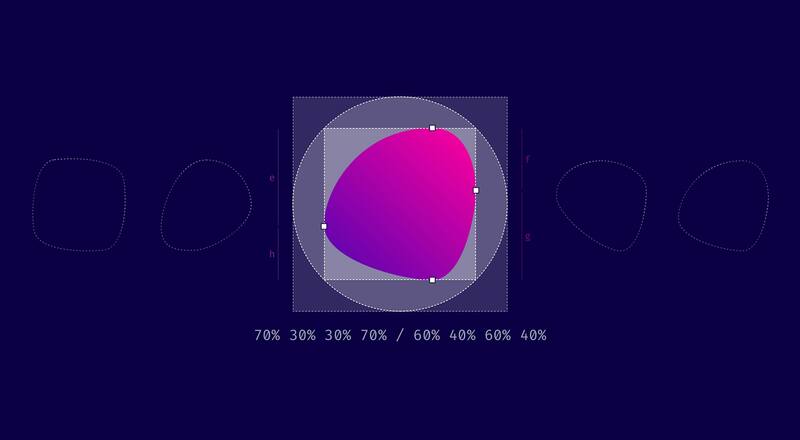 Those are mostly used to create a circle by setting border-radius to 50%. The percentage value is based on the width and height of the given element. 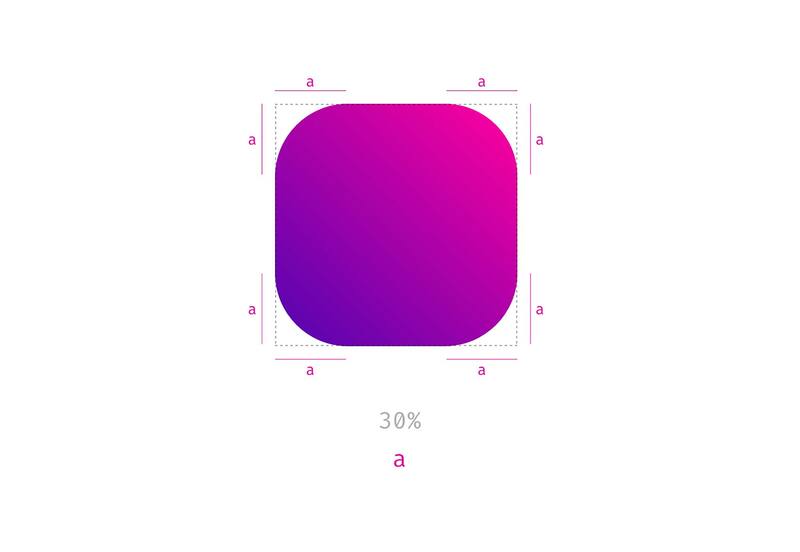 So when you use it on a rectangle, you will no longer have symmetrical corners. 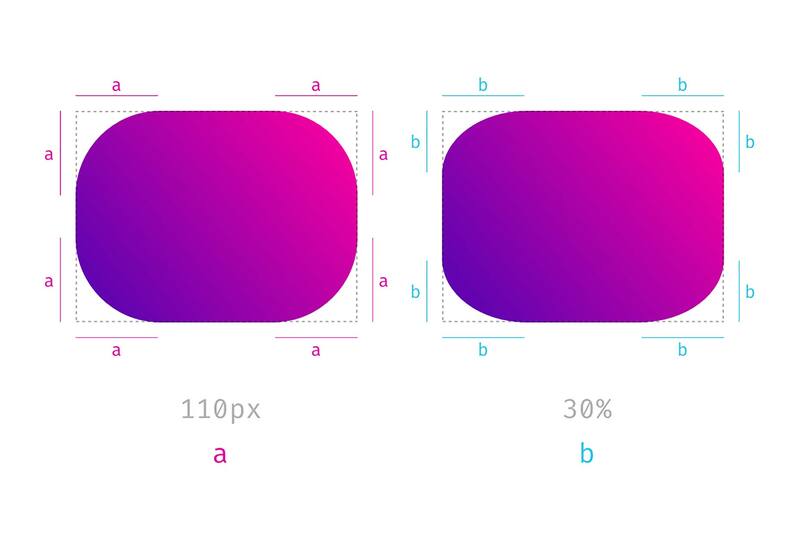 Here’s an example showing the difference between border-radius: 110px and border-radius: 30% applied to a rectangle. Notice that the corners on the right side are not symmetrical and keep that in mind. We’ll come back to this later. When you use more than one value, you start setting values for each corner, beginning in the top left corner and then moving clockwise. Again you can also use percentages, and you could also mix percentages with fixed-length values. If values are given before and after the slash, then the values before the slash set the horizontal radius and the values after the slash set the vertical radius. If there is no slash, then the values set both radii equally. So, values before the slash are responsible for horizontal distances whereas values after the slash define the vertical lengths. But what does that mean? 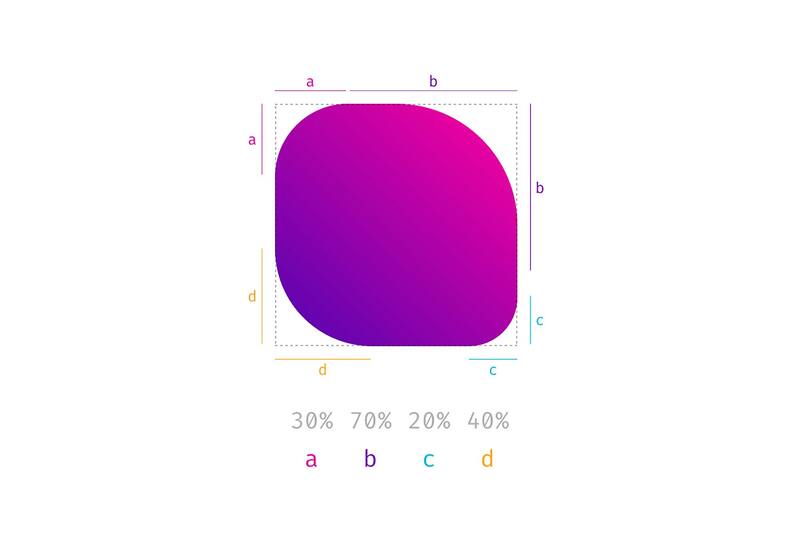 Remember percentage values on rectangular shapes? We had different absolute values for vertical and horizontal distances and asymmetrically rounded corners, and that is precisely what you get when you use the slash syntax. So when you compare border-radius: 4em 8em to border-radius: 4em / 8em the results are quite different. The symmetrical corners on the left form quarter of a circle, whereas the asymmetrical corners on the right are part of an ellipsis. 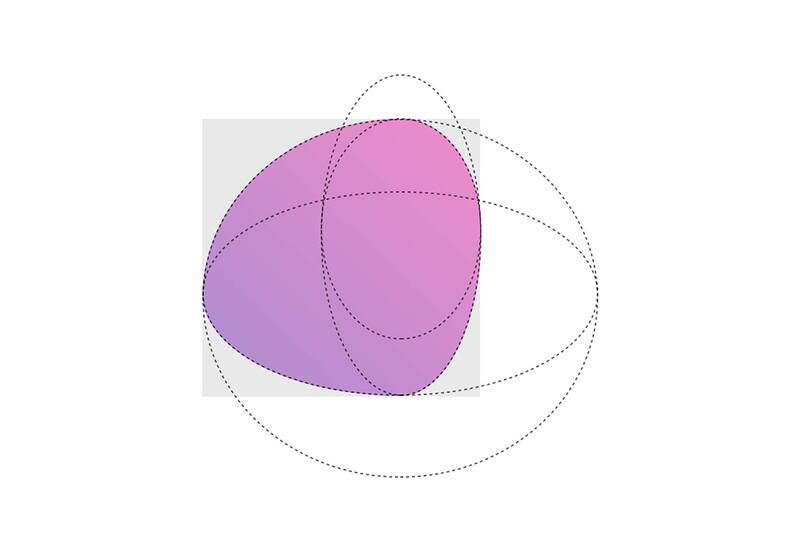 In the end it is four overlapping ellipses that build the final shape. Easy ha!